You can write synopses and notes for each of your draft documents, note files or research files in your creative writing projects. This way, you can immediately read what a document is about instead of going into the full text of that document. 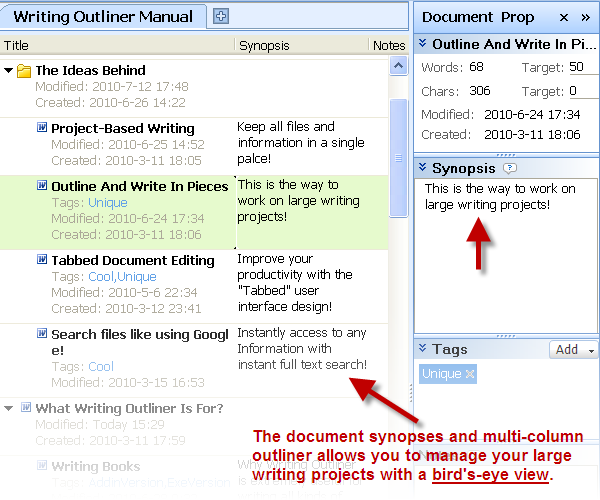 When combined with the outliner, it makes managing your long writing creative writing projects much easier.